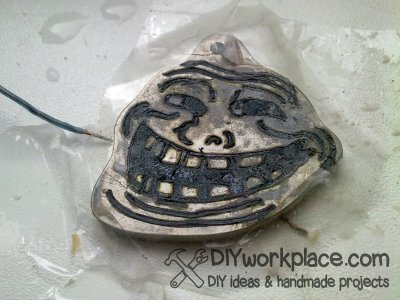 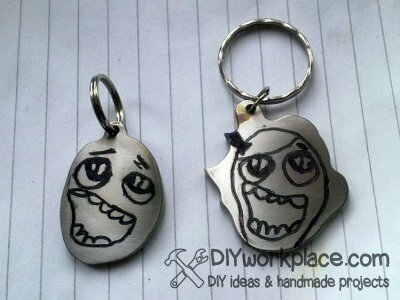 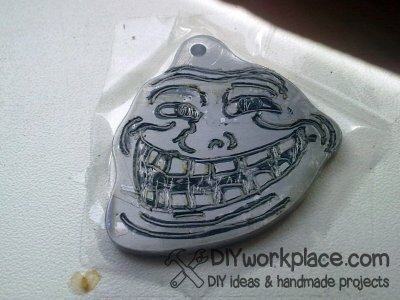 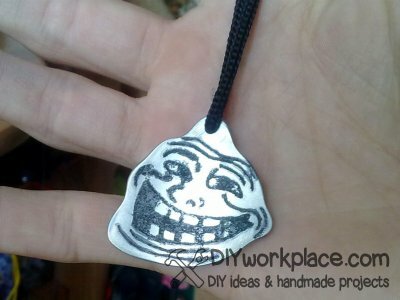 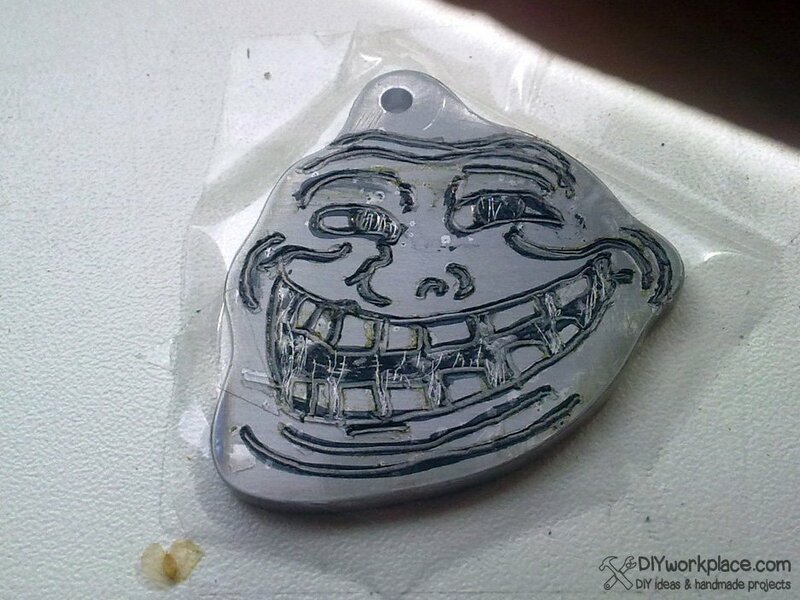 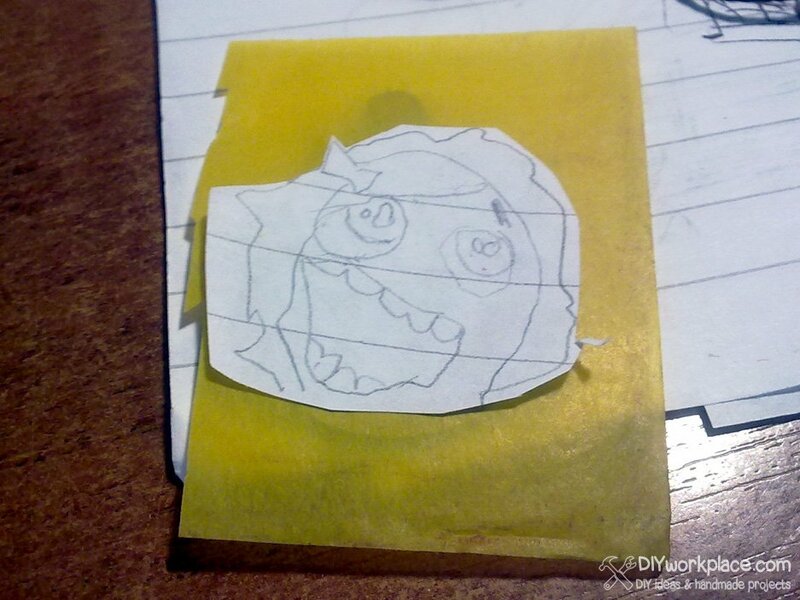 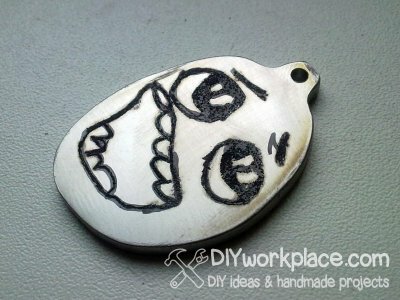 Once in the Internet I saw a picture of a pair keychains with Derp and Derpina faces respectively for a guy and a girl. I did not find where to buy them, so I decided to make these keychains by myself. 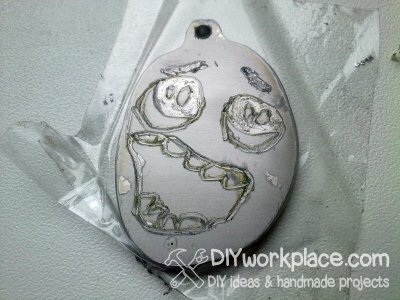 Guided by the next instructions you can make metal keychains with any shape or with any pattern on it. 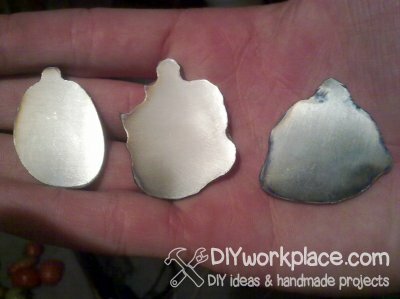 I also described the process of etching the pattern on the metal in details, this information can be used for etching patterns on knifes and other metal objects. 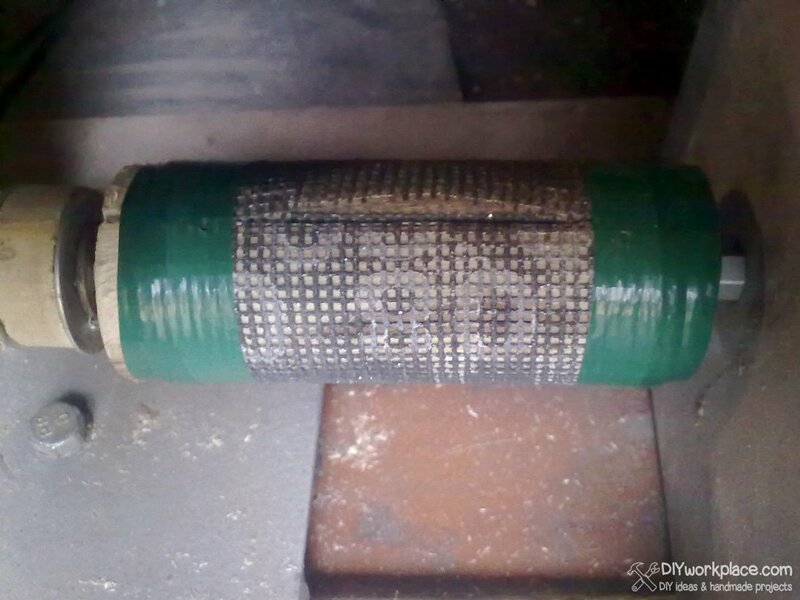 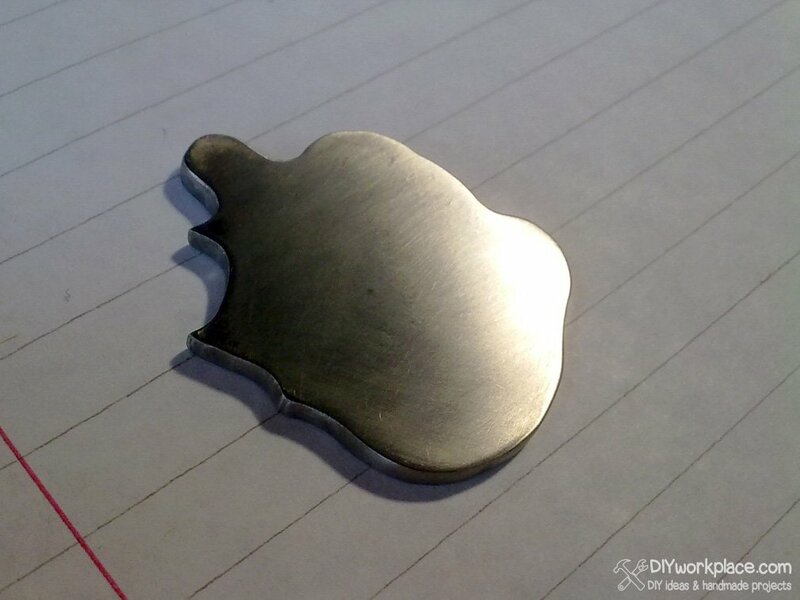 I thought that hoe is made of hardened steel and decided to anneal it (heat to dark red glowing and slowly cool it), but also understand that hoe is made of stainless steel and it will not be easy to make a handmade keychains of it, and it doesn't need in annealing. 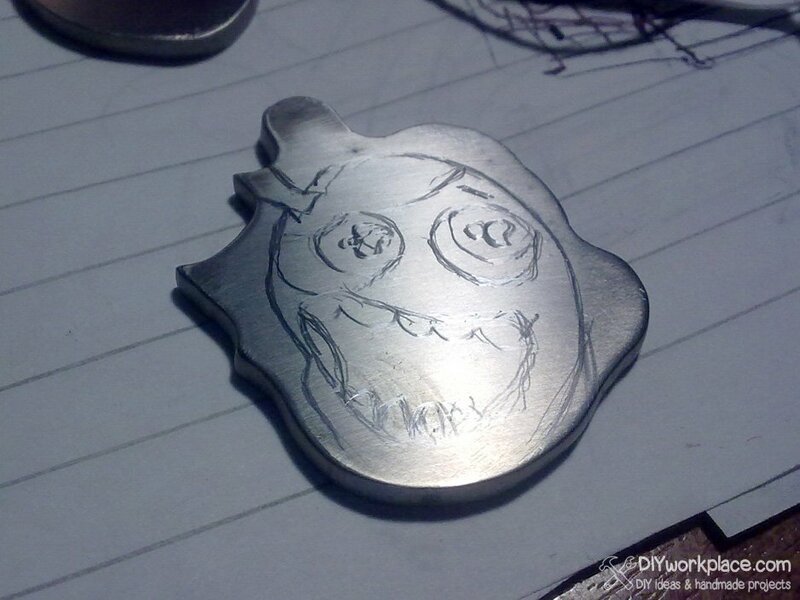 So if you decide to make keychains of stainless steel, I think there is no need to anneal it. 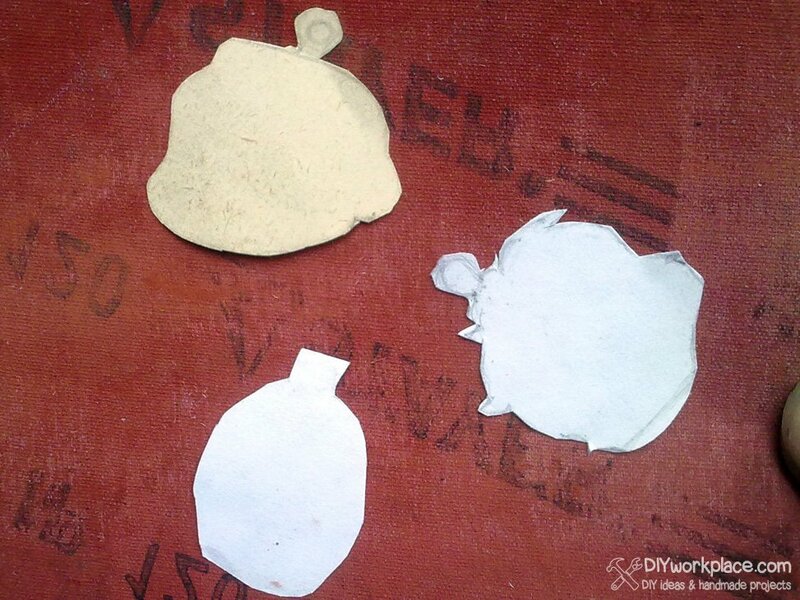 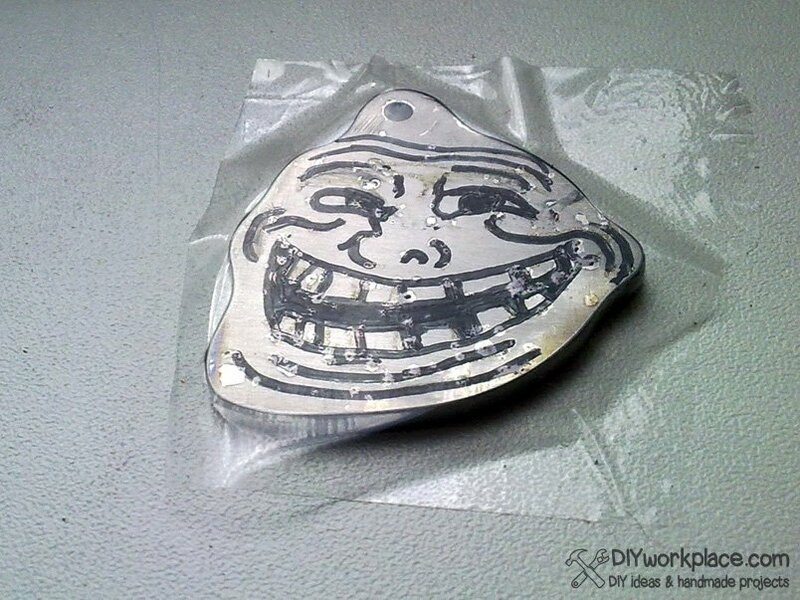 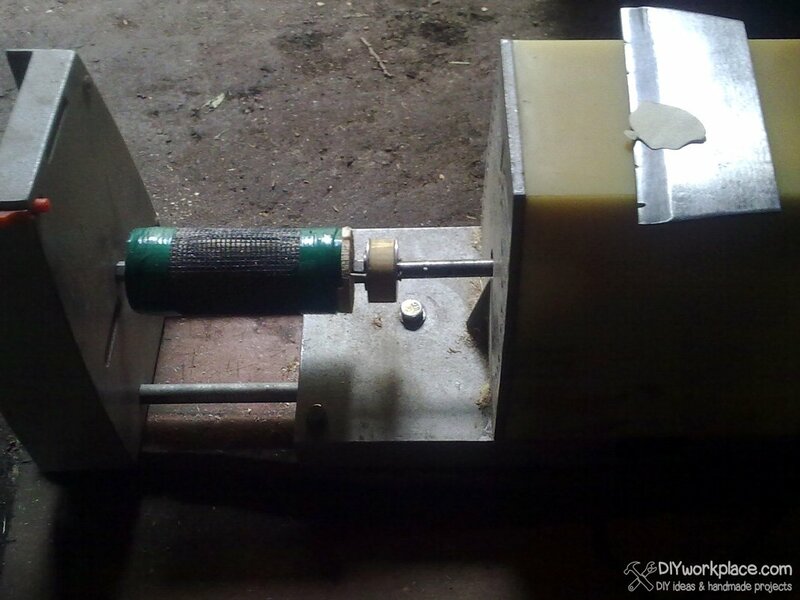 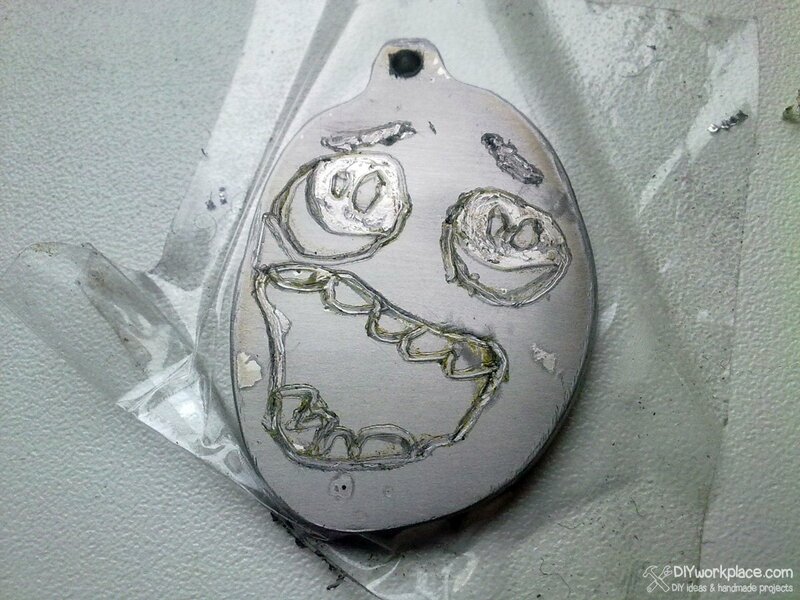 But you can make keychains of metal sheet, not stainless, it's easier for treating. 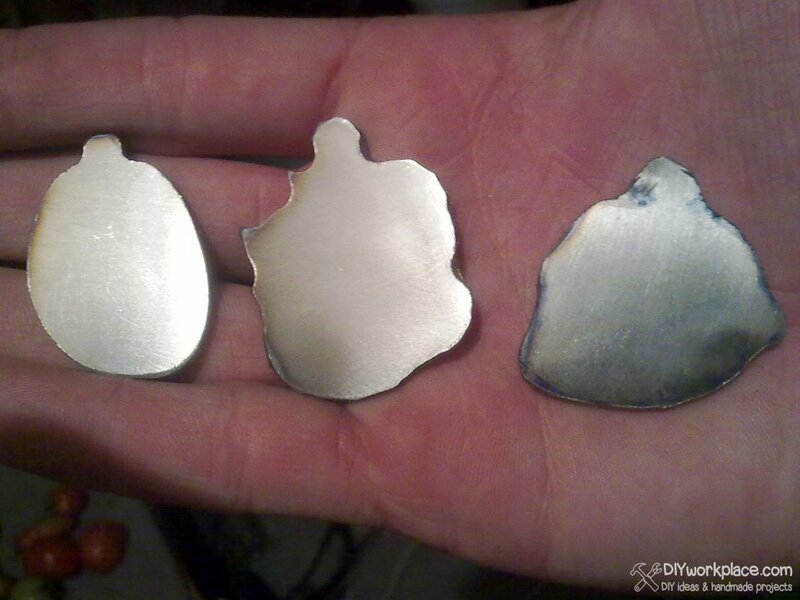 You should slightly polish your billet before the next step. 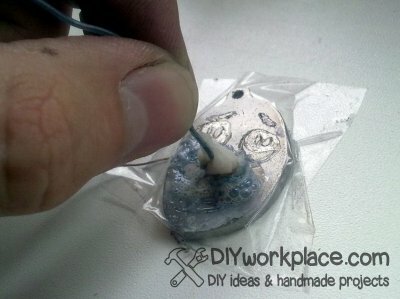 Also make a hole for attaching keyring to homemade keychains. After cutting, make a clean polish. 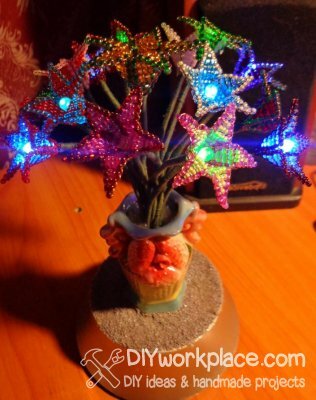 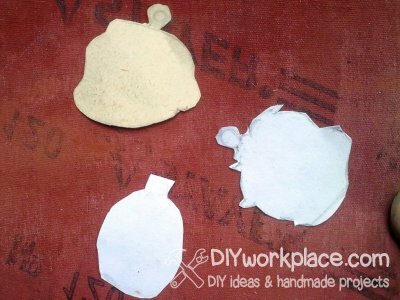 Use a polish paste and felt, try to make them like mirror! 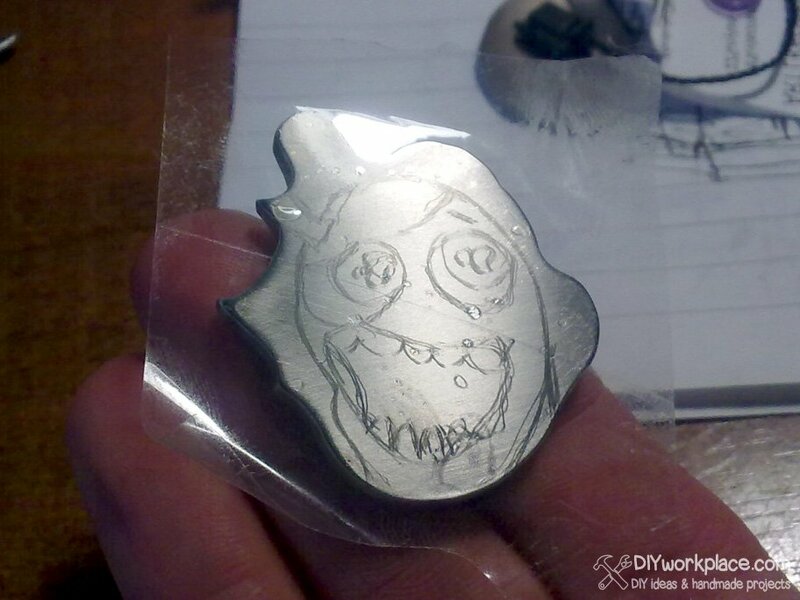 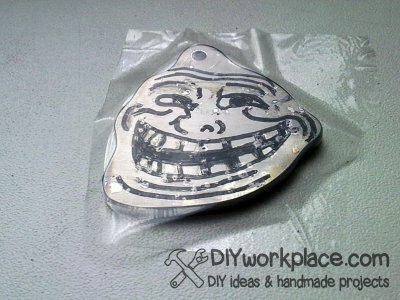 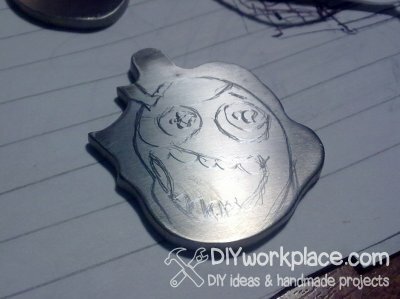 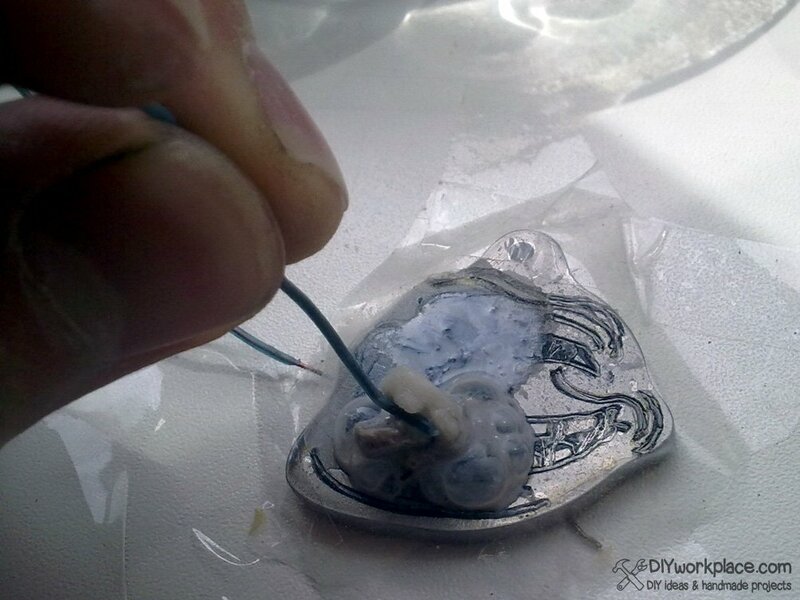 And now it's time to talk about etching patterns on diy keychains. 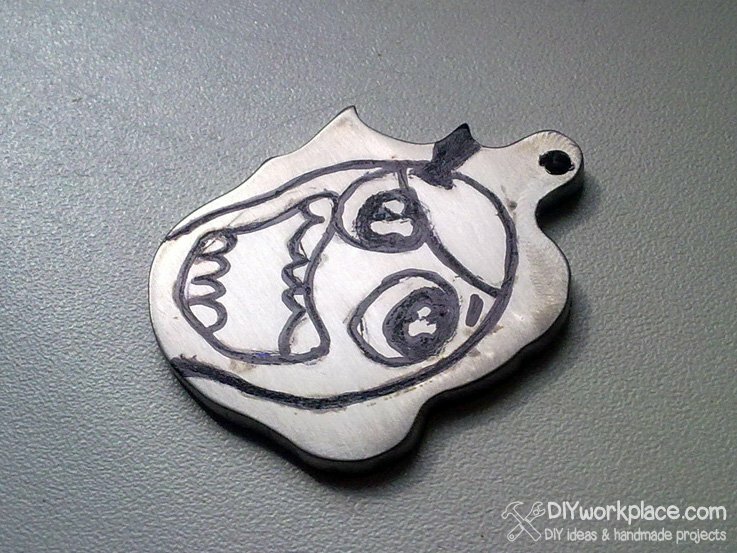 Copy patterns on keychains with carbon paper. 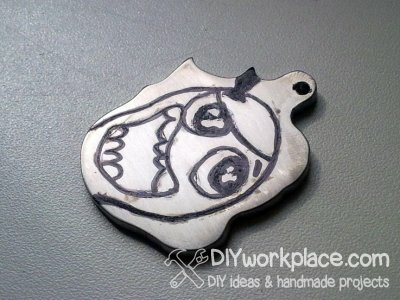 Also you could use juicy marker or gel pen and try to make it through paper. 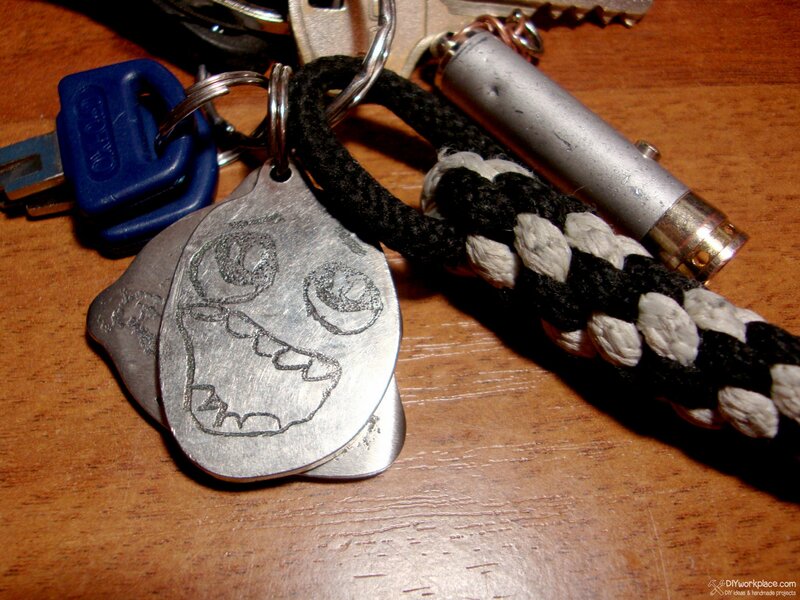 Then carefully, without bubbles, stick a tape on keychain. You need to find best tape that you could. 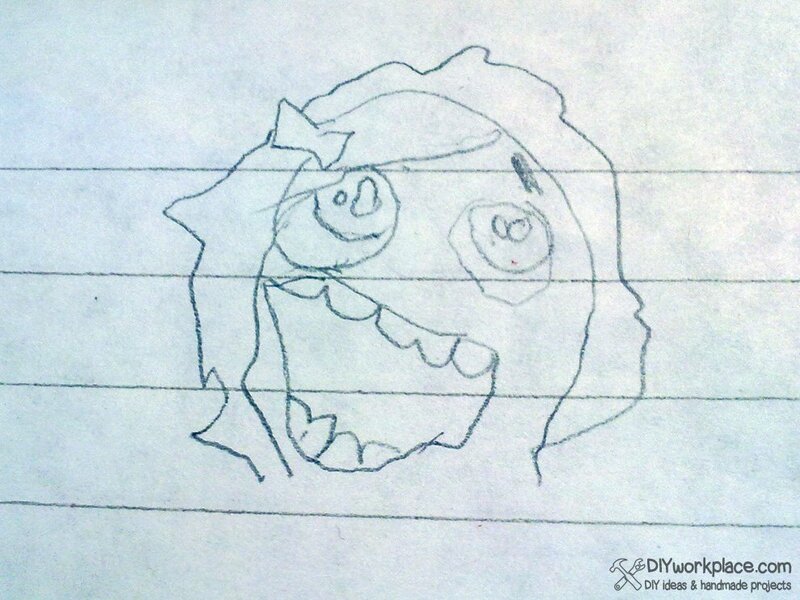 For example, original "Scotch". 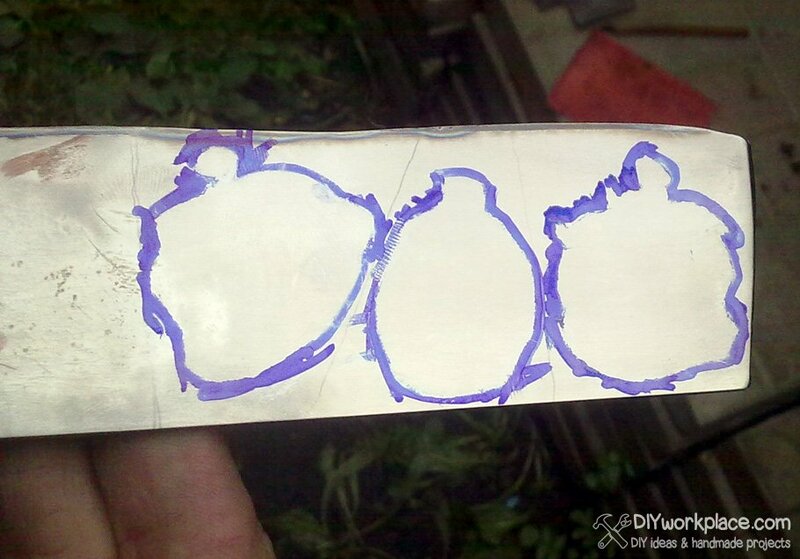 Also left extra of tape up to 20-30 mm. 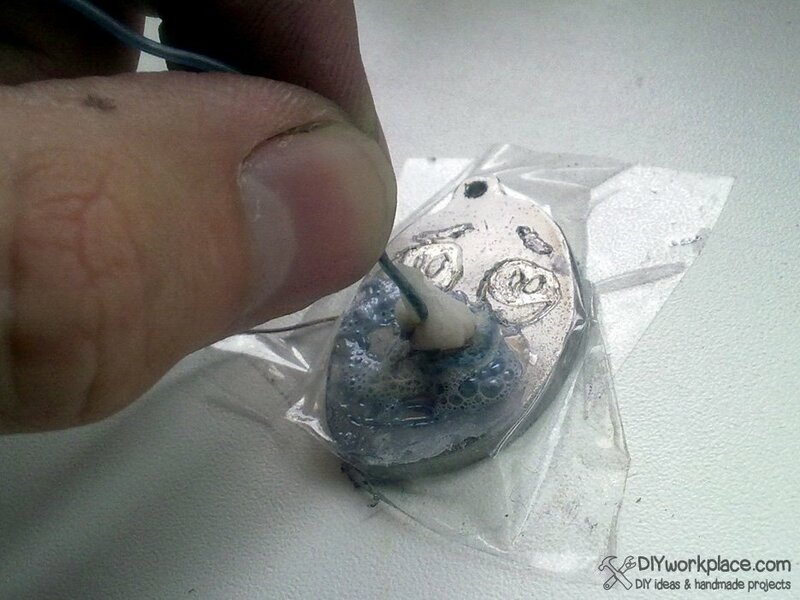 Heat your soldering iron. 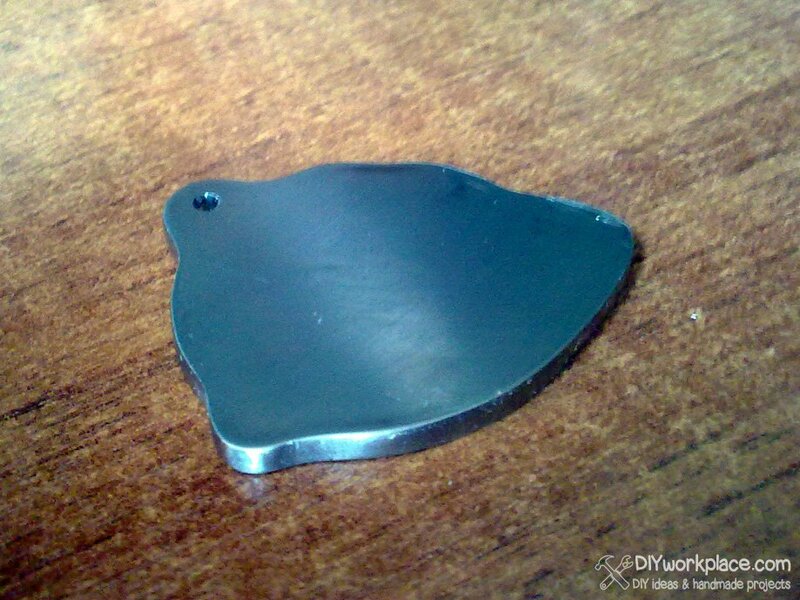 If you haven't this one, you can try incandescent awl, heat it with gas stove or diyalcohol stove. 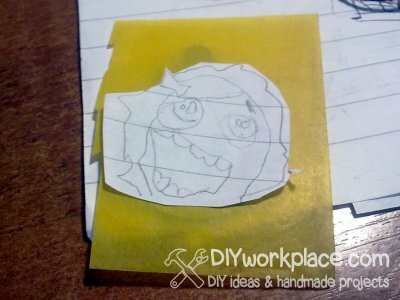 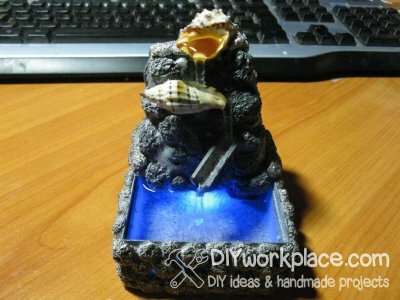 Attach handmade keychains to the flat surface with extra scotch. 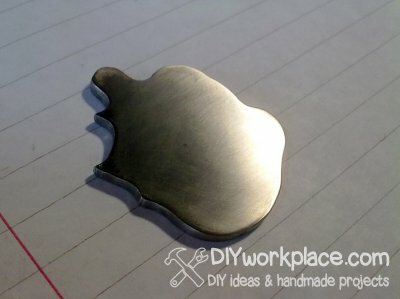 Purpose: draw the pattern by melting scotch with iron. 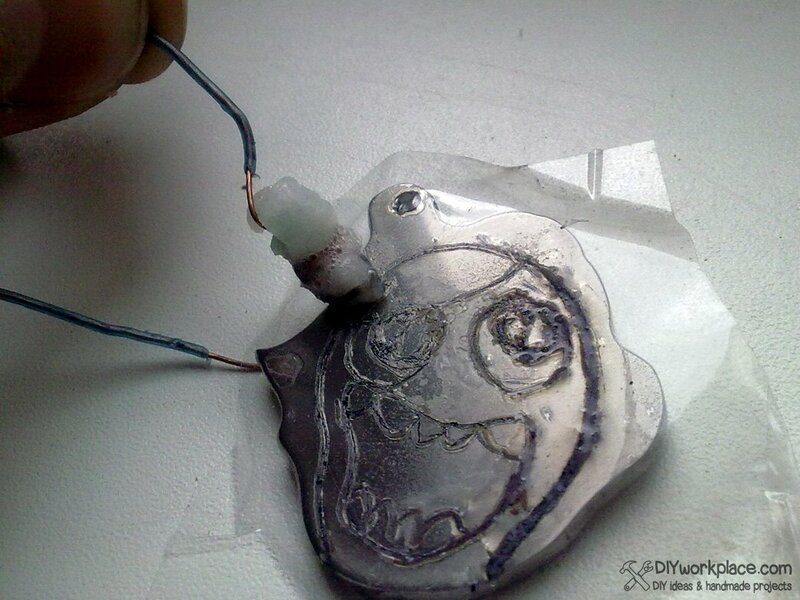 It's not so hard to draw a straight lines, but if you want to fetch an area, circle it with soldering iron and then use a needle to pull a piece of tape inside the area. 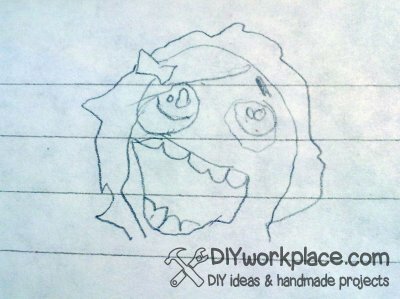 For example, eyes on faces are areas like that. Attach keychains to the flat surface with extra scotch. 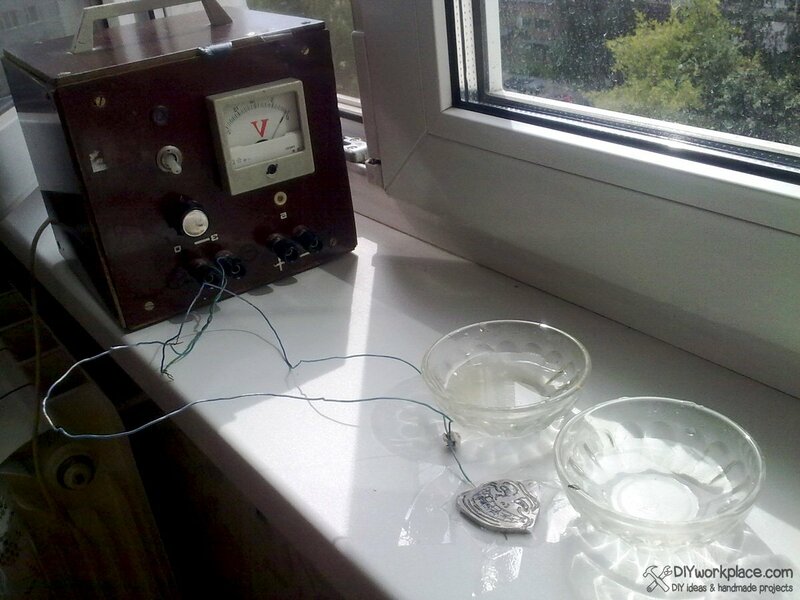 Near place a glass with salt water and power source. 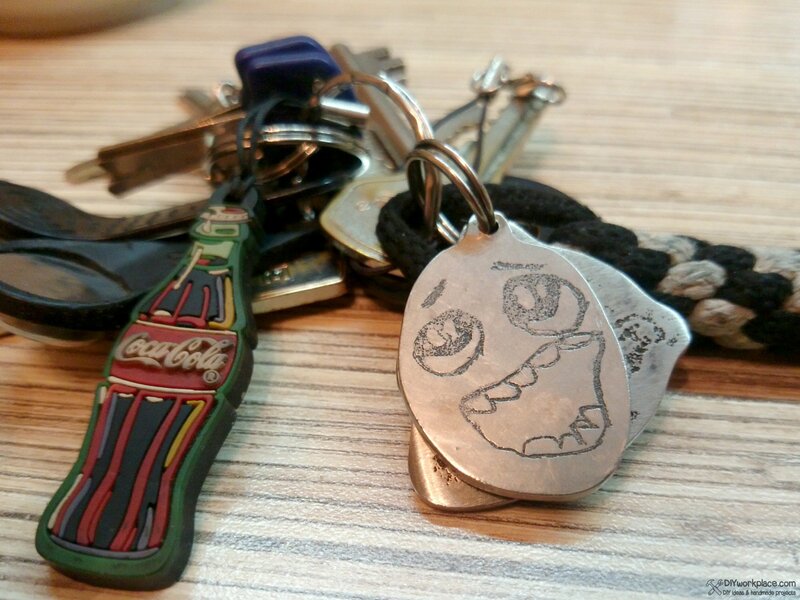 Connect "negative" wire to the keychain, I just shove that wire between keychain and table (keychain is still attached with tape). Wind "positive" wire round a cotton. 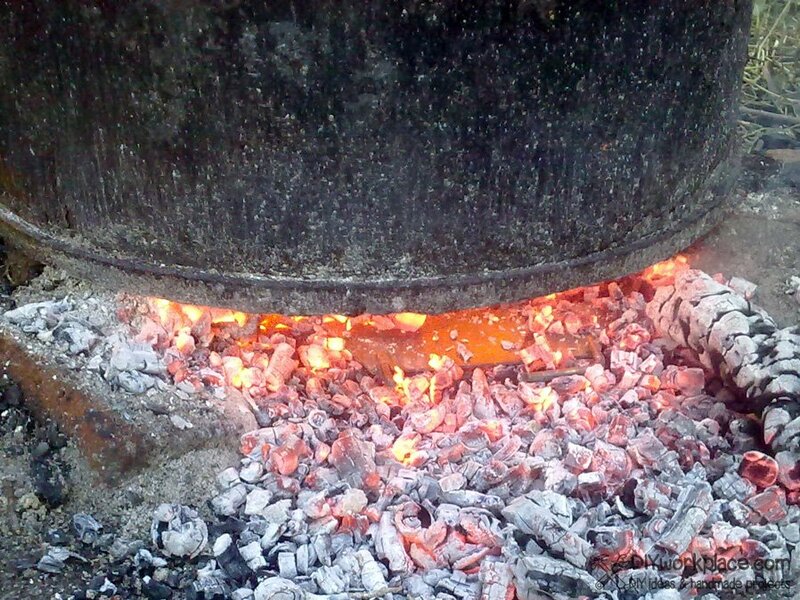 Stop when you can feel the depth of lines. 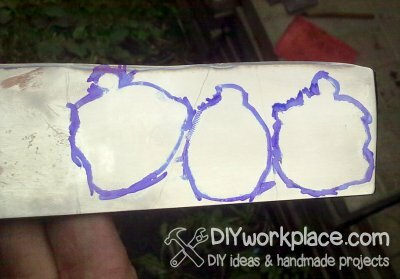 Next step is draw again, but with permanent marker or gel pen. 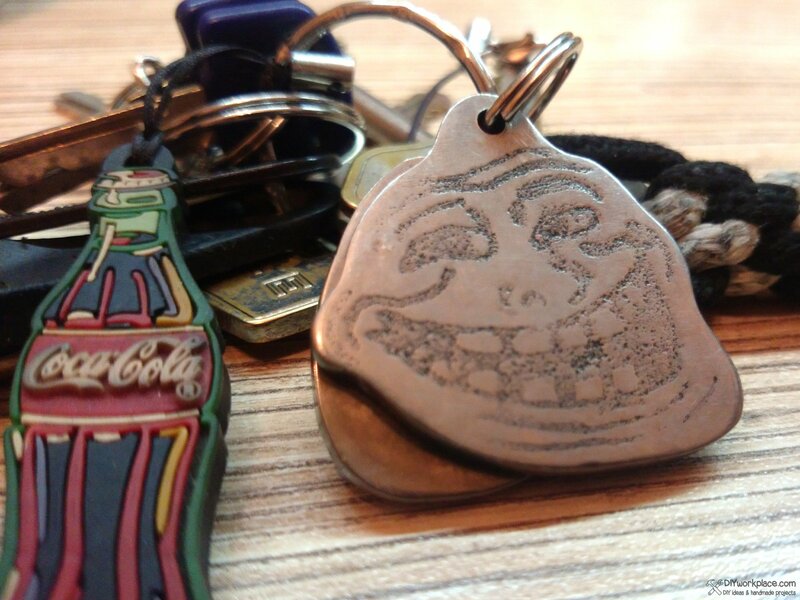 Handmade keychains turned out great, just as on the picture. Make keychains with your own hands is not so difficult, most difficult parts: cutting the workpiece and drawing on tape with iron.